You’ve got big plans to get fit this year and you keep telling yourself that 2019 will be the year of hard workouts, abundant self-love, and meal prepping galore. But how many times have you had big plans heading into the new year to “get on track” and “stay on track” only to have those plans thwarted as soon as Valentine’s Day rolls around? Don’t let 2019 be that year by joining one of these wellness New Year’s challenges. Joining a challenge not only helps you stay accountable, because most of them are lead by a coach or trainer, but they are competitive and filled with like-minded people who will be able to offer encouragement and support when the going gets tough—because we’re sorry to break it to you: It does get tough. AMP Fitness Fit Camp: This six week program is just what you need if you’re looking to make some big changes to your body and your fitness habits. The challenge includes a one-on-one strategy session to discuss your goals with a coach, three group training sessions a week, a simple and sustainable habit-based nutrition guide, weekly habit checkpoints to track progress, and so much more. $169, January 7-February 22, ampfitnessboston.com. Fit University: Sarah Gaines, Fit University founder, is starting 2019 off strong with a 12 day online challenge where she’ill provide quick workouts, meditations, nutrition tips, and goal-setting strategies straight to your inbox. You’ll also get the chance to win cool prizes like class packs to fitness studios in Boston, protein bars, and more. The challenge will end with Fit University’s fourth Symposium on January 19. Free, January 7-January 19, gofitu.com. 10 Classes in 30 Days at Redemption: Looking for a personal trainer in the North End? Or how about a place to get in for a quick strength circuit before you head home in the evening? If so, test out Redemption in the North End (located right across the street from Christopher Columbus park) and complete 10 classes in 30 days to be entered to win a free five-pack of classes or a one-on-one personal training session. All members who complete the challenge will receive a discount on their next class pack. Drop-in rate applies or early access to unlimited membership at $150/month, January 1-January 31, redemptionboston.com. Ditch the Dieting: Join Mooch and Mel of Move for seven days of information and guidance on how to get your gut in check. They’ll offer four easy steps for you to improve your gut health and maintain a healthy and happy gut to feel more energized throughout your day. Free, January 2-January 9, movewithmm.com. ASICS Studio 21 Day Challenge: Based right here in Boston, the ASICS studio app is offering a 21 day challenge hosted by Erin Bailey for free. The app is typically subscription-based so take advantage of this offer. You can expect 20-30 minute workouts, three meditations a week at the end of your workouts, and 21 recipes to help you meal prep created by registered dietitian Kelli Fierras. Free, January 6-January 27, studio.asics.com. Gut-Healing Program: Maximize your health and feel great with Jennifer Hanway, a holistic nutritionist, during this 28-day challenge filled with specifically designed meal plans and recipes, a guide to supplements, and wellness strategies you can implement throughout your day. You’ll also receive support and accountability from Jennifer and the group to keep you on track. $129.99, January 21-February 18, jenniferhanway.com. Heart Beat Challenge: If you’re thinking about joining a yoga studio in the new year, consider Health Yoga Life. On top of adding new classes like Cardio ‘n Flow Classes to get your heart rate up and Bliss Break to de-stress, they will be offering a two month challenge with the chance to win an Apple Watch—all you have to do is take 45 classes in that time frame. Must have auto-renewal membership for three months, January 21-April 21, healthyogalife.com. Winter Warrior Challenge: We know it’s getting chilly outside, but it’s still good to get some fresh air in the winter. Marathon Sports is challenging you to get outside everyday in the month of January and track your mileage—might be easy for those Boston Marathon trainees. You’ll be able to track your distance online to see how you stack up against fellow runners and friends and family. Free, January 1-January 31, marathonsports.com. Two Weeks Unlimited Free Classes at Burnin’ By Ray: What could be easier (or better) than two weeks of free unlimited bootcamp classes to jump start your new year fitness goals? Test out Burnin’ By Ray’s low-impact high-intensity workouts filled with cardio machines you’ve probably never heard of and strength moves at their new location in the Seaport. The offer is only good for those who are not currently clients or who have not previously been a client. Free, January 1-January 12, clients.mindbodyonline.com. RunYoga Virtual Series with Cara Gilman: Get back into running this year, or fine-tune your running technique, with this four-week virtual series hosted by Cara Gilman. The program includes podcasts, yoga tutorial videos, meditations, reflection assignments, and more. $90, January 6-February 3, caragilman.com. 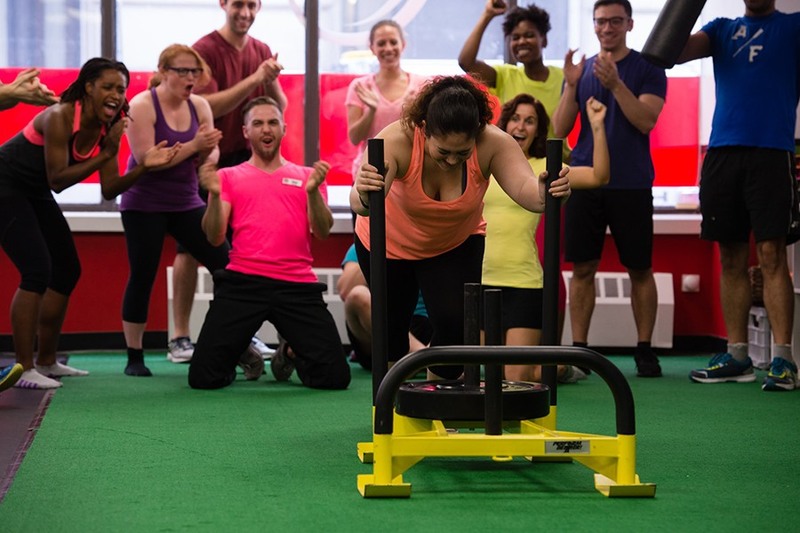 Free Charlestown Bootcamp: For the month of January, receive free access to indoor bootcamp classes every Monday, Wednesday, and Friday designed by founder and coach Tim Khanoyan to increase performance, burn fat, and build strength. Participants will also get access to a nutrition guide that includes a seven-day meal plan and more than 15 healthy recipes. Free, January 7-February 1, charlestownbootcamp.com.